Dr. Walton graduated from Marist High School, where he excelled in athletics. 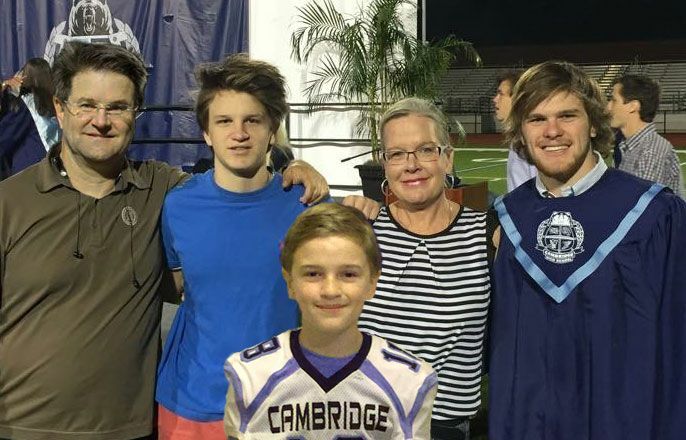 He earned an athletic scholarship to play baseball at the University of Georgia and received a B.S. in Pre-Dentistry. In 1982, he was named the University of Georgia’s top male scholar-athlete (highest GPA). 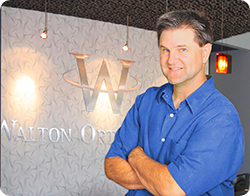 Dr. Walton is one of only 30% of all orthodontists worldwide who are certified by the American Board of Orthodontics. He is also a member of the American Association of Orthodontists, American Dental Association, Southern Association of Orthodontists, Georgia Association of Orthodontists, and the College of Diplomates of the American Board of Orthodontists. Dr. Walton has been acknowledged in the American Journal of Orthodontics for his research on temporomandibular joint tomography. Dr. Walton resides in Milton. When he is not creating beautiful smiles as an orthodontist in Suwanee, GA, Dr. Walton likes to spend time with his wife Laura and 3 kids. He has 3 boys, Garrett, Kelton and Colin. He enjoys exercising, skiing, listening to music and collecting historical autographs.